Image of the Nolans rare earths-phosphate project, courtesy of Arafura Resources. A prospective rare earths mine that could become a longterm supplier of neodymium and praseodymium has been green-lighted by the state Environmental Protection Authority (EPA). 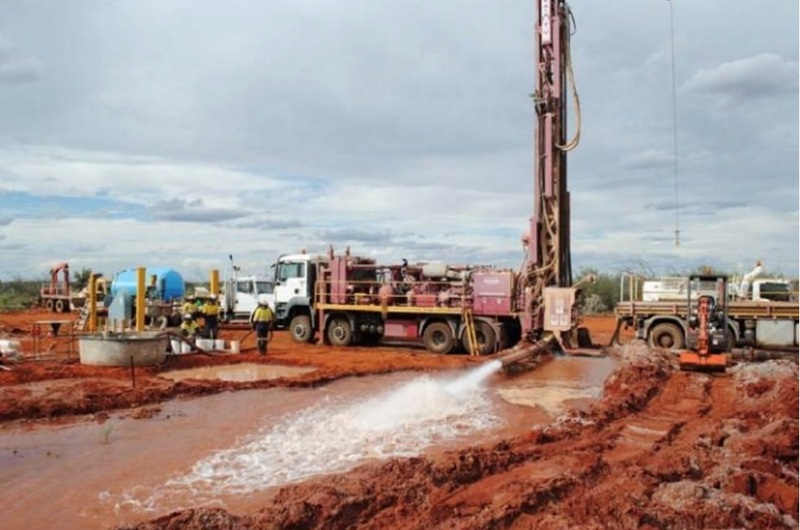 Arafura Resources (ASX:ARU) on Friday received approval from the Northern Territory Environment Protection Authority (EPA), after an assessment process lasting more than two years. The EPA found that the risks from mining at the Nolans rare earths project, including use of groundwater and discharge of radioactive material, can be effectively managed. Arafura is planning to produce 3,600 tonnes of NdPr per year, with first production in 2020. "There will have to be a high level of operational management control for this project over a couple of generations, and there'll have to be a high level of regulatory scrutiny, there's no two ways about that," EPA chairman Paul Vogel was quoted in ABC News. Radioactive material would be stored in purpose-built dams. Arafura's stock price jumped 8.7% on the news. The new mine located 135 kilometres northwest of Alice Springs is expected to have a life of 35 to 55 years. The mill is designed to produce a maximum 14,000 tonne of total rare earth oxide (TREO) per annum. Arafura is planning to mine up to five million tonnes each year to produce 650,000 tonnes of run-of-mine (ROM) ore as feed to a three-stage crushing circuit. The end products would be sulphuric acid for sale to the fertilizer market, NdPr oxide, lanthanum (La) oxide, and a mixed middle-heavy rare earth (SEG-HRE) carbonate. Arafura is planning to produce 3,600 tonnes of NdPr per year, with first production in 2020. Most of the world's rare earths are supplied by China, which has a near-monopoly, producing about 90% of the materials.